Play for the youngest pupils about a pan and a pancake. The storyteller came in and found a box and began to play with all the things in the box. As the pancake didn’t want to be eaten, jumped out of the pan and ran away! 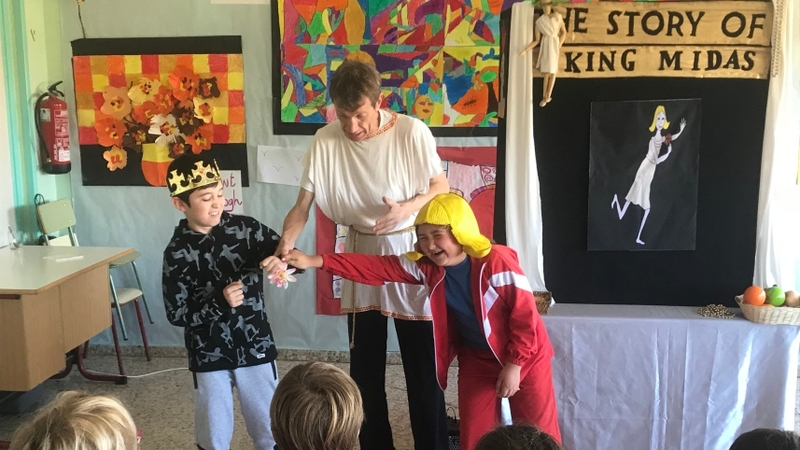 Play based on the myths of King Midas and Medusa. Play based on Edgar Allan Poe’s poems. Play based on the book The Canterbury Tales by the English writer Geoffrey Chaucer. A group of pilgrims meet in the Tabard Inn and entertain each other by telling stories on their pilgrimage. The three stories chosen are The Miller’s Tale, The Wife of Bath’s Tale and The Pardoner’s Tale.